Shuktara is a monthly children's patrika by Devsahityakutir from Kolkata. It is most popular among Bengali version children even youngest people in India and Bangladesh. Now I want to share with all my little friends, a ebook pdf of Shuktara on February 2016. 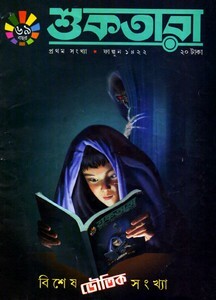 This edition's inner stories are especial ghost stories edition, Rewarded stories, sports, Magic etc.